“Historic jump in ‘Ease of Doing Business’ rankings is the outcome of the all-round & multi-sectoral reform push of Team India,” Modi tweeted. India has jumped 30 spots to number 100 in the latest Ease of Doing Business report for 2018 released by the World Bank today. “India stands out this year as one of the 10 economies that improved the most in the areas measured by Doing Business,” the report said. A lot of amendments have been made to existing laws regulating debt recovery like SARFAESI Amendment Act, 2016, Insolvency & Bankruptcy Code and etc for fast and speedy recoveries so that the economy witnesses a boom in a growing pace. There are several regulations for banks and other financial institutions to recover their money from debtors like Debt Recovery Tribunal Act which is monitored by the Debt Recovery Tribunal functioning in states. The establishment of such authorities have simplified the procedure and fast tracked the cases of default henceforth giving a healthier platform for doing business in India. Likewise Banks and financial institutions have a means to resolve their issues, similarly body corporates can sue their debtors by filing a civil suit under Order 37 of CPC, which is a summary suit. (2) the defendant who is permitted to defend fails to comply with the conditions on which the leave to defend was granted. 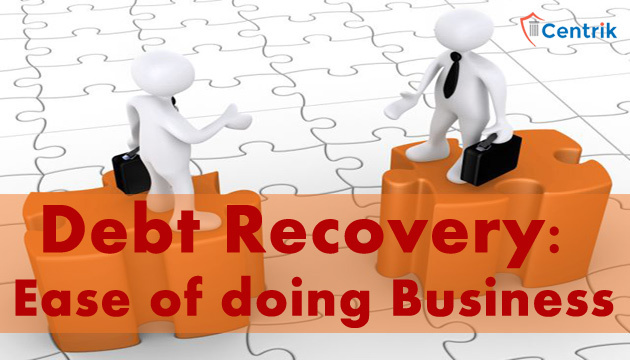 In order to improve the ranking of India on ease of doing business and World Bank rankings, the corporate bodies are also resorting to various means of debt recovery by outsourcing their work to certain consultancies and managements who have expertise in acquiring bad debts for their clients following fair debt collection practices to help smoothly run the economy and free companies from unpaid debts. To attract investments and create opportunities for business in Indian Markets, it is essential to have remedies for debt recovery. Once we have a strong structure to acertain speedy recoveries, it will be easier to do business in India.